Why would you love Kerala as your wedding destination? Home » Blog » Why would you love Kerala as your wedding destination? Backwaters – Check. Beaches – Check. Water Falls – Check. Tea Covered Hills-Check. Houseboats – Check. Luxury Hotels – Check. Ayurvedic Spa – Check. Spices – Check. National Parks – Check. Wild Life – Check. Boat Races – Check. 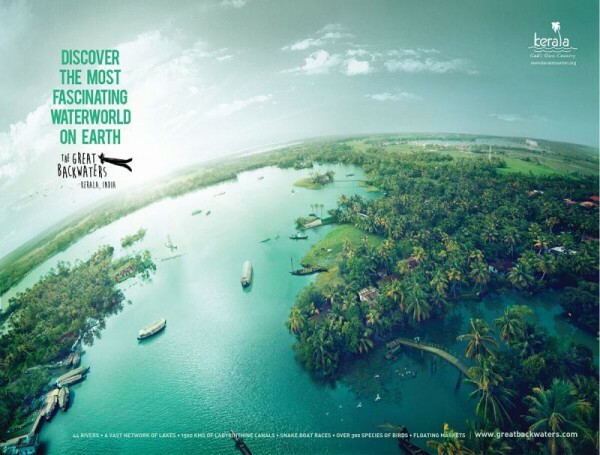 God’s Own Country Kerala – Double Check. We are quite sure all wedding planners and stylists and wedding photographers in India love Kerala as a wedding destination and such is the mystical magic of this place that so would you! 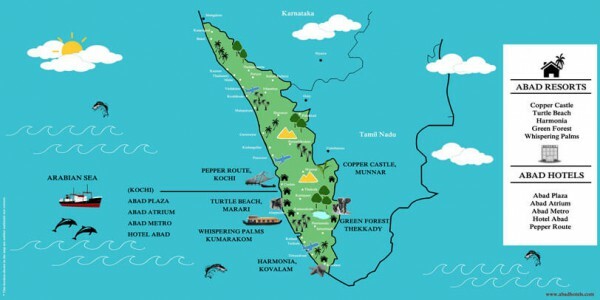 Well if you like geography, Kerala is on the tropical Malabar Coast of southwestern India. It is crisscrossed by a network of interconnected canals, lakes, bays, and rivers known as the Kerala Backwaters. The state’s largest lake Vembanad, dominates the backwaters. In English, Kerala is on the southern tip of India on the left side. Kerala is a large state. Not as large as Rajasthan but not as small as Goa. Well, we got the scenic map for you too. When the place has a tagline ‘God’s Own Country,’ it would hardly require any convincing on our parts as to why it would be so perfect for your special day. Nevertheless here are a few reasons to make that choice even easier for you. 1. Scenic and Diverse Landscape. Whether you fancy a backwater wedding or a beach wedding or a hill station wedding or a houseboat wedding, Kerala is so panoramic and diverse that you will have a tough time deciding on what to opt for, because every option is more beautiful than the other. 2. Hotels fitting to all budgets. From uber luxurious Niramaya Retreat to Lalit Bekal to Leela Kovalam to heritage hotels like Taj Kumarakom to boutique homestays to intimate villas to environment-friendly hotels like CGH Earth, Kerala really has something that would please everyone and suit to all budget brackets. 3. Entertainment and Culture. You can have Bharatnatyam performance on your Welcome Dinner, Kathakali during Mehndi Lunch, Mohiniyattam during Sangeet Dinner, Panchvadyam, and ShingariMelam for wedding and Kalaripayattu and Vishnumoorthy Theyyam for Reception Dinner. And of course, you can always have Dj and Live Band! When in Kerala it does not matter how many days of events you have, you can have a different cultural programme for your guests’ entertainment on each day and they would be simply enthralled! 4. Reaching Kerala via air road or water. Kerala has robust air transport with its three international airports Trivandrum, Cochin and Calicut. Though the highways are not as wide as Rajasthan but they are so picturesque. And the trains and water transport here is quite robust too. Yes, we said water transport; it plays an imperative role in daily life of a Keralite. As Kerala tourism website mentions ‘That such a small terrain can hold diverse geographical features and cultures is a wonder in itself.’ and it can’t be said any better. Plan your destination wedding in Kerala, this land fit for gods and have a wedding that would be superlative of enchanting.